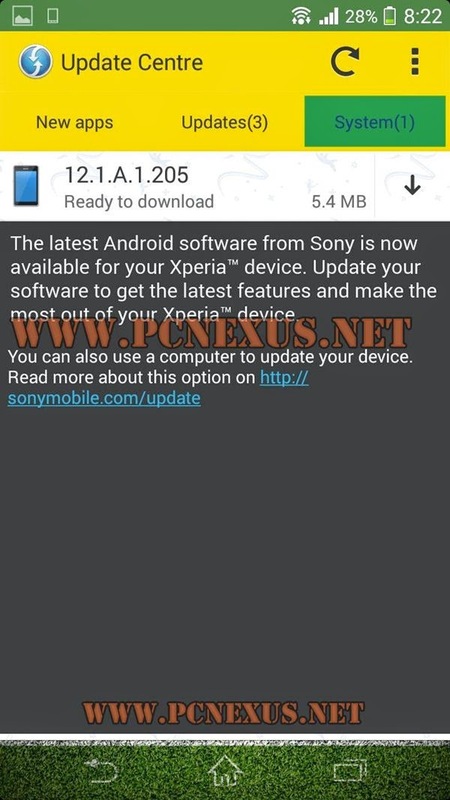 Good news for Sony Xperia SP users as it has received the latest firmware update as 12.1.A.1.205. This update has been recently released by Sony and Xperia SP users with model numbers C5302, C5303 and C5306 have already started receiving OTA notifications worldwide including France, Greece, United Kingdom, Hungary, Spain, Slovakia, Switzerland, Bulgaria. The 12.1.A.1.205 is just 5.4 MB in size. Currently this is the final update as the android 4.4 KitKat for Xperia SP is under testing phase. The update has following improvements and bug fixes. Enhanced performance and stability of Mobile BRAVIA Engine 2. Improved screen visibility to cover more lighting conditions. All the latest bug fixes and stability improvements. Xperia SP can be updated to latest version either by using PC companion, Sony Update Service (SUS) or using Update Center app in the phone. But according to me updating the phone with Update Center app is the best option because it only require 5.4 MB data to download which is the firmware update file size. If you use PC companion or SUS then they will flash the entire firmware and will need to download 805 MB (whole firmware) data, so your 800 MB is being wasted. Also there is no need to download the ftf file because it reqiures flash tool and is 805 MB in size. So Update Center is the best and fast option. Note: If you haven't received the OTA notification on your Xperia SP then never update it with PC companion or SUS because the firmware download will stuck at 99% completely. Enable data network on your phone. Open Update Center app and tap the refresh button. You will see a notification as in the image below. Tap the download button. Battery should be charged more than 50% otherwise firmware will not be downloaded. When download is finished a popup will open to install the update. Tap 'Install'. Xperia SP will shut down and will automatically update in recovery mode. It will take few minutes. You have successfully updated your Xperia SP to latest android 4.3 jellybean 12.1.A.1.205 firmware. 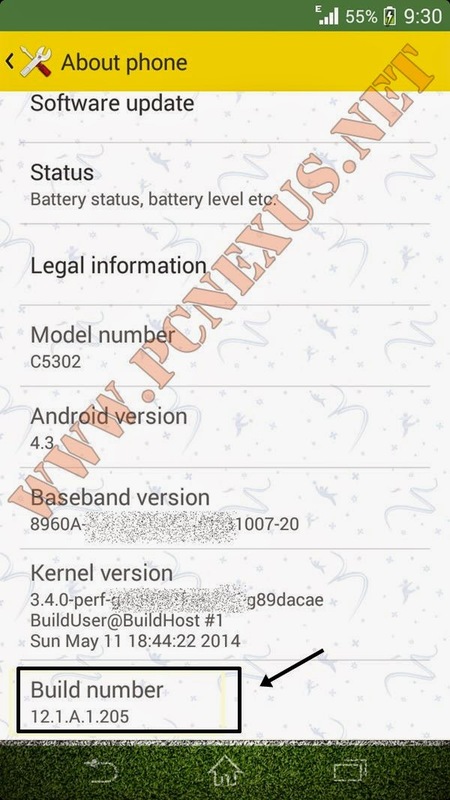 Stay tuned for more as android 4.4 KitKat for Xperia SP is under investigation and may be released soon. After updating Xperia SP to 12.1.A.1.205 most people are complaining that Viber is not working, but to make it work again just uninstall and re-install the app then everything will go fine. Debby you will get the update for your Xperia SP in the update center app on your phone. Open the app and tap refresh button. Read the post, it is mentioned how to update without PC. Hi there!! I've just been on update centre on my phone! It needs a computer only for update!! Hello Debby it seems you haven't received the OTA update yet on your Xperia SP. Wait for sometime or contact Sony for this. OTA's are released according to the IMEI and date of purchase. So nobody can tell when will you get it. Hi there I've received latest update for Xperia s p!! It's great! So far! Except the battery don't last as long now!! The update came over the air!! Which was better for me!! Thanks!!! Use stamina mode to save battery and increase backup. Does it deleta all ur dara to update? Or does it all still stay? No it will not delete any data..
Guys, i downloaded and installed the update already. Then my phone restarted and i waited for a while for the download to start but it said 'could not install'. I tried reinstalling again but the same message popped out. Why is that and how to solve it? Pls i need someone's help in this problem ASAP. Install clean master and clean all the junk files and cache on your Xperia SP. You can simply do it by going to 'Settings>Storage>Cache'. Tap on it to clear. Now install the update again. After clearing the cache remove clean master because it slows down the phone. Thks for ur reply but i still get the same message although I followed ur steps. Is there an alternative way to solve it? Yes you can update it via Sony PC companion or Sony update service.